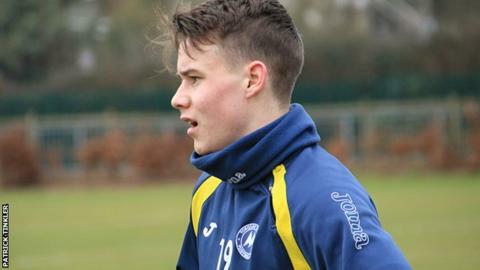 Torquay United midfielder Sam Chaney has signed a new contract at the National League club. The 20-year-old, who made five starts and nine substitute appearances in 2015-16, came through the Gulls' now closed youth academy. Torquay have not revealed how long Chaney has agreed to stay at Plainmoor. "In the next year or so Sam is going to be in a position where he has got to be pushing to be a regular starter," said player-manager Kevin Nicholson. "Last season he came in and did very well, but it is still very early on in his professional career. "He needs to show me next season that he can come back fitter and stronger than he's ever been and capable of playing 40-50 games. He should be aiming to start 30-40."